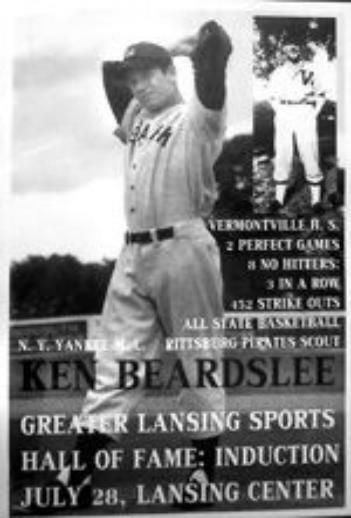 Beardslee was an accomplished high school pitcher. He set national records for strikeouts in a 9-inning game (26), threw eight no-hitters including two perfect games, won 24 of 25 games and set the national record for career strikeout average (18.1 out of every 21 batters) and season strikeout rate (19 of 21 batters in 1949). Signed with the New York Yankees in 1949. Played five years in the minor leagues (1949, 1950,53,54,55). Served in the military in 1951,52. Became a scout for the Pittsburgh Pirates and served 20 years in this capacity, including being the scouting supervisor for a period of time. Authored the book, “Making Every Pitch Count”.